Living in the relaxing, low maintenance “Sunshine State” has drastically reduced my need for “stuff”. However, there are some Floridian essentials, such as a favorite pair of flip-flips, a great fitting bathing suit and the perfect pair of sunglasses. Normally, I am the type of person who can spend up to an hour in a store trying on numerous pairs of glasses before making a purchase. Are they the right fit, the right shape, the right weight? And most importantly, do they make me feel like a rock star? I currently have an awesome pair of black Prada’s that I love. But I was looking for a neutral, lighter pair of shades for the summer. 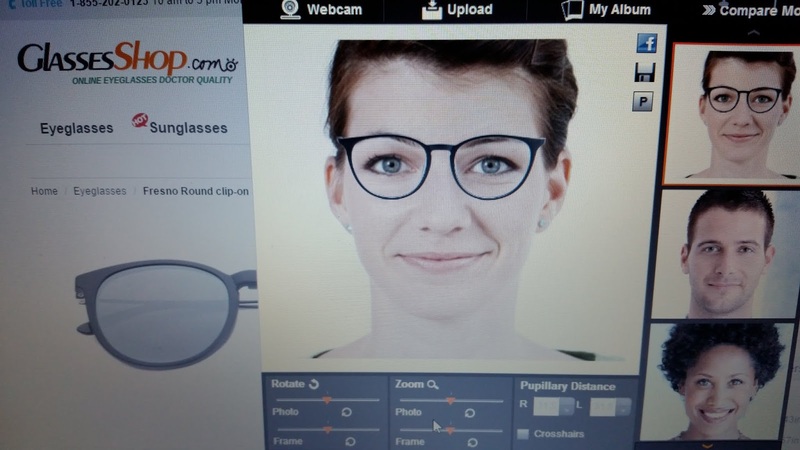 So, I decided to try shopping for my new pair of glasses online. Admittedly, I was skeptical about making a purchase without being able to see them on my face in person. Enter GlassesShop. GlassesShop.com offers an impressive selection of frames with both prescription and non-prescription lenses. To make the selection easier, I was able to narrow down my search by choosing the color, prescription type and price. 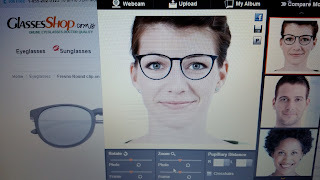 After finding the perfect pair of glasses, I was able to virtually try them on, which was my favorite part of the GlassesShop web site. Snapping a quick picture with my webcam gave me a pretty good idea of what the glasses would look like on my face, and allayed my fear of being stuck with a pair of shades that I didn’t really like. In addition, ordering was a cinch. 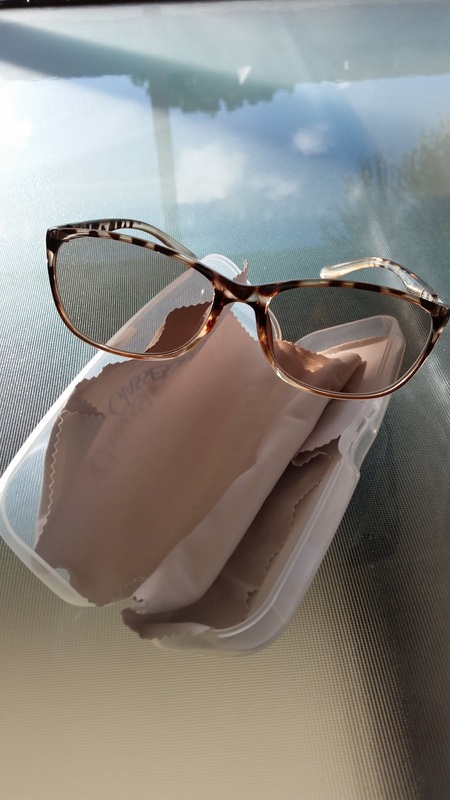 I simply picked out the frames (I chose Lena-Oval in tortoise), the lens type (distance, computer, reading, bi-focal, progressive, sunglasses), the tint (I chose the brown tint) and that was it. For those of you who wear prescription sunglasses, there is an option to enter your prescription information before checkout. Now, I get really excited when I know there is a package coming for me in the mail (yet another benefit of ordering glasses online). Who doesn’t, right? So when I saw the glasses-shaped box in the mail, I couldn’t wait to tear it open! As I slipped my new specs onto my face, two words came to mind. Rock. Star. With the glasses on my face, I fell into a dreamlike state, enticing paparazzi with a smile while showing off my new shades. I was mentally trying on all of my clothes, finding the perfect outfits to complement my new sunglasses. In other words, I was thrilled! 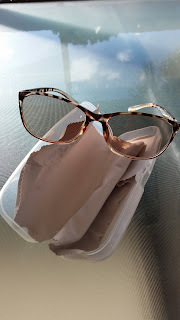 After spending some time in the hot Florida sun with my new glasses, I found that they are perfectly lightweight, but sturdy and well-fitting at the same time. Who knew that spending half the time and half the money would result in such a great pair of glasses? And thanks to GlassesShop, my inner rock star is now always on display. If you want to find your inner rock star, go check out glassesshop.com and use my discount code for 50% your purchase!